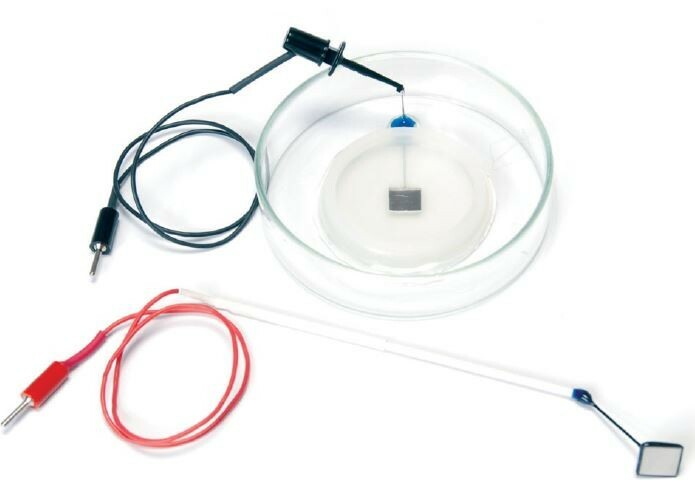 The Petri dish platiunum electrodes are designed for delicate and/or difficult ex vivo tissue transfection. 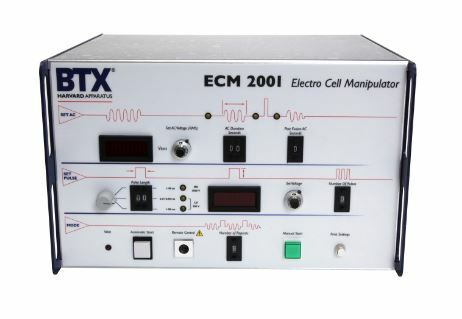 Ex vivo electroporation is an efficient, effective method to introduce genes, drugs or any number of molecules into ex-plant tissues. A common application is mouse brain slice for studying neuronal development. 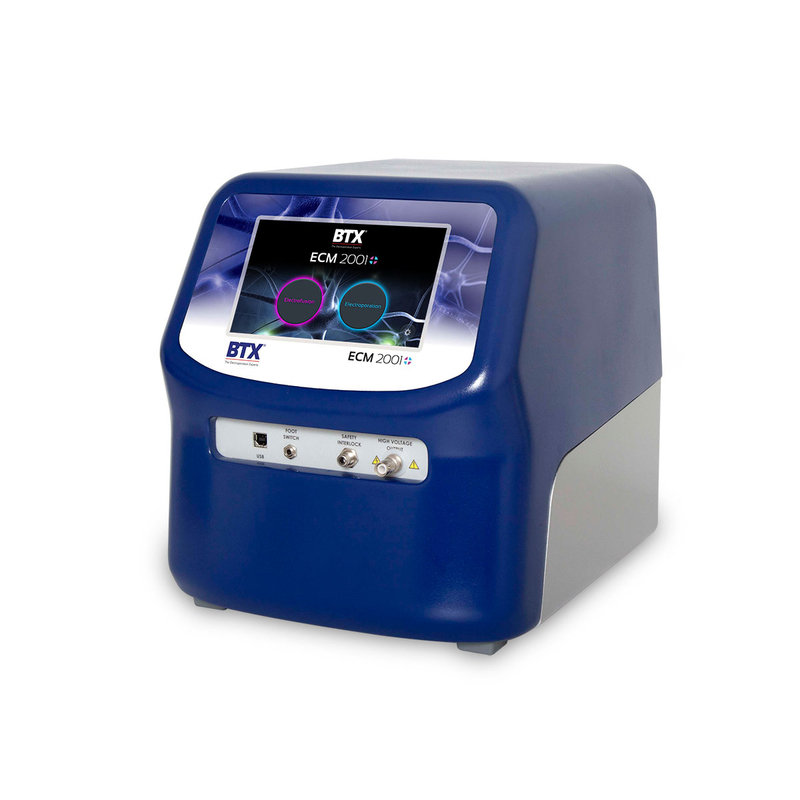 This specialty electrode makes transfection quick and simple and is compatible with the BTX ECM 830, ECM 2001+, Gemini X2 and Legacy ECM 2001 generators. 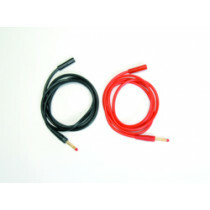 The electrode is comprised of two parts, the glass petri dish electrode and electrode wand. 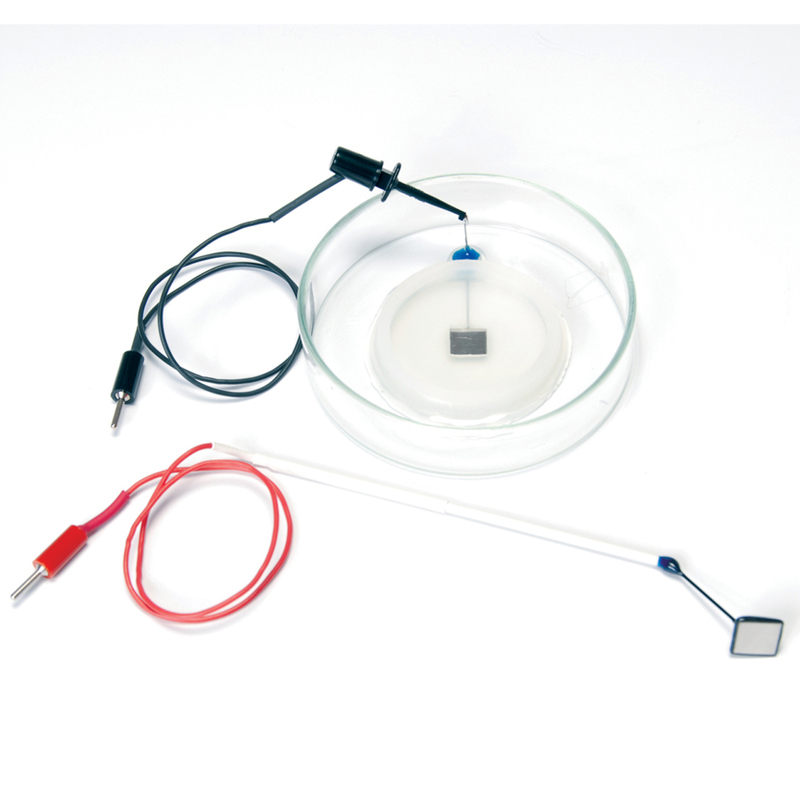 The glass petri dish contains a square shaped platinum electrode chamber to secure the tissue. 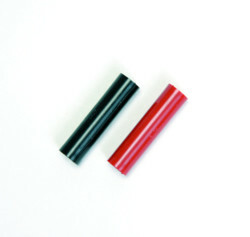 The wand incorporates an identical shaped platinum electrode, which is placed over the chamber to complete electroporation. 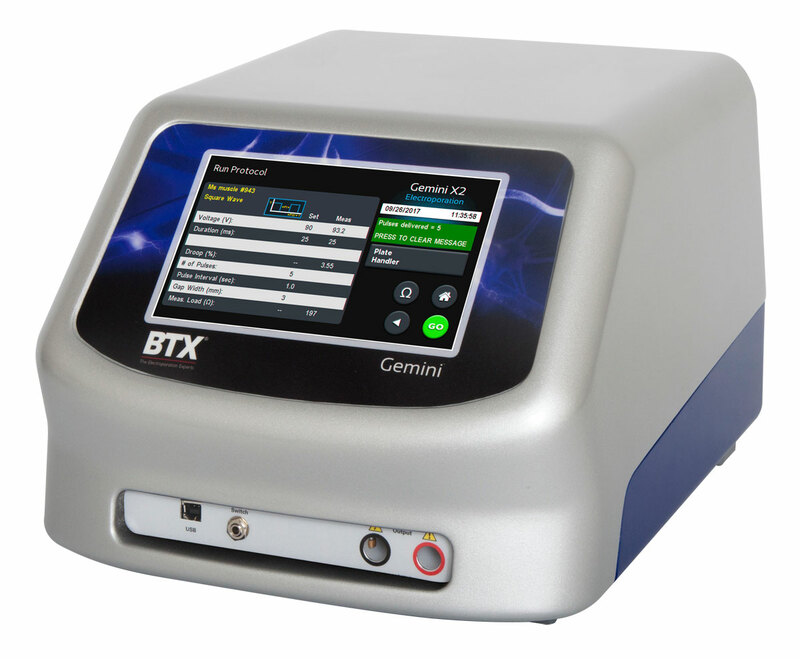 This sandwich configuration ensures a homogeneous field of energy for optimum transfection. 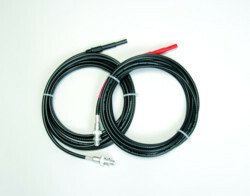 In this example, the Gemini X2 generator is connected to the electrodes using the sequence of cables and adapters illustrated below. 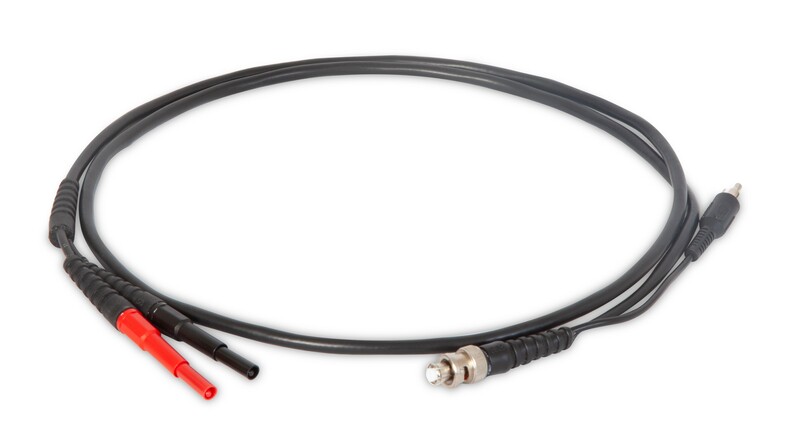 In this example, the ECM 2001+ generator is connected to the electrodes using the sequence of cables and adapters illustrated below. 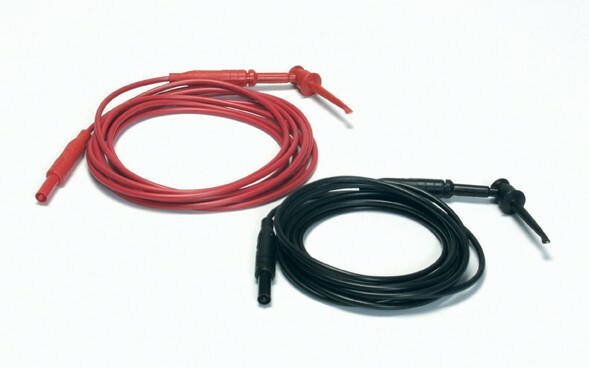 In this example, the Legacy ECM 2001 generator is connected to the electrodes using the sequence of cables and adapters illustrated below.